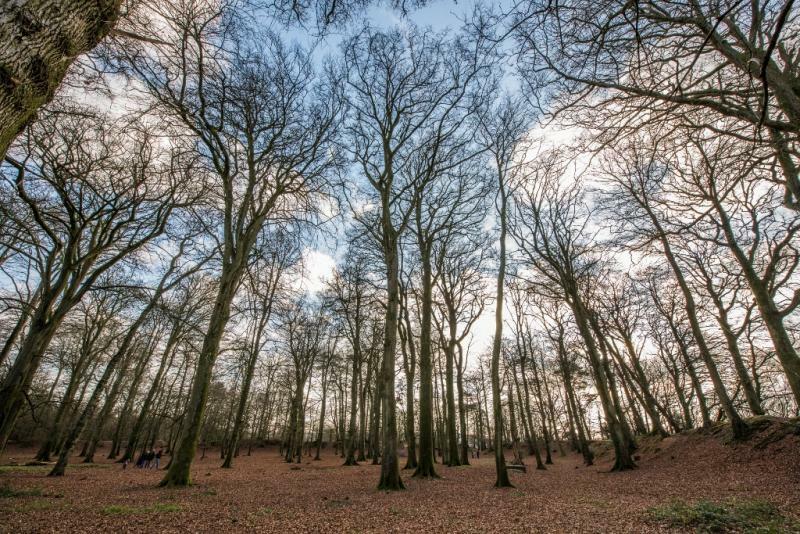 Starting at Woodbury Castle car park, explore this magical place where trees have grown around the ramparts (where the castle walls were) almost half a mile in circumference, their roots covered in moss. Be king of the castle on this important Iron Age hill fort, imagine it guarding the Exe estuary below. There are some beautiful views and on a clear sunny day you can see from the Exe Estuary to the sea in Lyme Bay or from Dartmoor through to Exmoor and the Quantock Hills in Somerset. This is a very pleasant four-mile walk, across Woodbury Common and the pebblebeds, which were created over 240 million years ago. Now this area of heathland is a haven for wildlife and includes 30 species of butterfly and 21 species of dragonfly. Other wildlife to look out for includes bright yellow gorse, vibrant purple heather, stonechat, dartford warbler, yellowhammer, roe deer, dormouse and fox.